Many homeowners do not take the proper steps to protect their homes from fires. 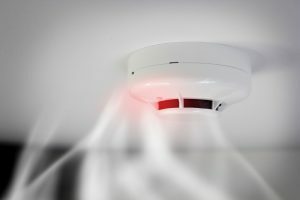 Most people likely do not think that they are at risk of a fire developing in their home – so are unwilling to make the investment in fire protection systems such as sprinkler systems. They may even neglect basic fire safety precautions like changing smoke alarms. But this can be dangerous when fires occur. In Australia, house fires are on the rise – and failing to protect yourself at home could result in serious property damage, especially if you live in a dry, fire prone area. At Strategic Fire Solutions, we offer a variety of different fire protection systems for your home. Learn more about what we have to offer below, and protect yourself against home fires! At Strategic Fire Solutions, we offer a wide variety of products for home fire protection. Here are a few ways that you can protect your home against house fires. Smoke alarms and alarm systems – Smoke alarms are your first line of defense against house fires, and they should be replaced about every 10 years. We sell standard smoke alarms, as well as alarm systems that include built-in notification systems, to allow fire departments to respond rapidly to an emergency. Sprinkler systems – Home sprinkler systems are a bit of an investment, but they are well-worth it. A sprinkler system helps safeguard your home and protect your investment. Home sprinklers can’t always extinguish fires, but are often able to hold them in check until fire departments arrive, reducing the severity of property damage. In some cases, you may also benefit from a big break in homeowner’s insurance costs. Eventually, the sprinkler system will pay for itself! Emergency lighting – Fires often take out lighting systems, and smoke can make it hard to see. In a home fire, emergency lighting that is independent of your main power source can help you make your way to exits, and keep you and your family safe in case the worst happens. Fire doors – Most homes do not have fire-rated doors installed. A fire-rated door can help slow the spread of a fire, giving you and your family more time to react and escape safely. Escape equipment – Escape ladders and other emergency escape equipment is a good investment for those who have second-story homes. Of course, proper equipment is not the only essential element of a fire safety program. You and your family must understand both how to prevent common household fires – and how to respond in case there is a fire. That’s why we also offer in-person fire safety training. We will educate you about the best practices for fire safety, including keeping flammable materials away from doors and heat sources, regularly checking smoke alarms, and much more. Our expert fire specialists will tell you everything you need to know! Protecting your home from fires has a number of different benefits. Peace of mind – Having the proper precautions in place, such as multiple fire extinguishers and fire doors, can give you peace of mind. Even if the worst does happen, you will be able to stay safe. Protect your assets – Your home is likely the most valuable asset you will ever have. Protect it by investing in the right fire safety equipment. Save on insurance – Proper fire precautions can help you save money on your homeowner’s insurance. Why Choose Strategic Fire Solutions For Fire Protection Services? Why should you choose us as your partner for home fire protection? First, we’re a fully licensed, Brisbane-based fire protection company. We are the leaders in the commercial market when it comes to fire protection and fire safety training. We deliver expert products and services – and we never cut corners. Our customer-focused approach to business has made us the best choice for fire protection in Brisbane and the surrounding regions. But don’t just take our word for it. Reach out to us today. Learn more about what we do, and how we can protect you and your family with our home fire protection services.